Let’s start from the end: after almost 6.5 years, I’m leaving what’s IMO the best company in the world to work for. This was my longest stint at any one company. I’m leaving to pursue a high-risk high-reward opportunity with a company that’s disrupting personal finance. 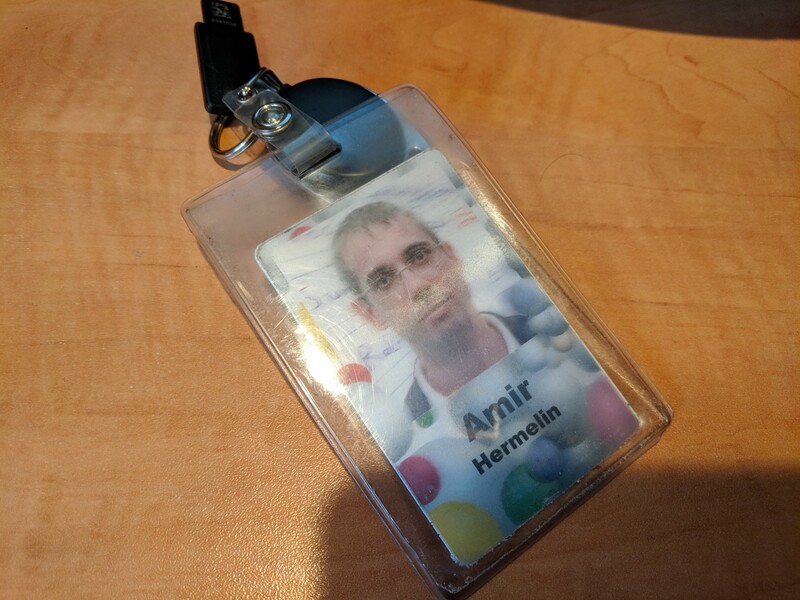 I joined Google Cloud before it was even a platform, and I’m one of the PMs that has spent the longest tenure in Cloud. I’d like to share what I’ve seen over the years and what I expect to see in years to come. But first, I’d like to tell you why leaving Google is so difficult. What’s so great about Google anyway? Many people mention great perks and benefits, like free food and four month maternity leaves (unfortunately my 3 boys were born before I’ve joined Google — I only had a couple of days to bond with them!). Not to mention great salaries and a stock that’s rock solid. Young professionals might place a larger weight on these, but they get so much more “free” stuff that’s going to greatly impact their development and future careers. I wish on all my boys to start their careers at Google — because Google provides accelerated learning and development into the most important fields of tech. Google has some of the best software development tools and processes in the industry. This is acknowledged by SWEs joining from other tech companies. There’s no shortage of smarts and experience to learn from. I didn’t have to venture far from my desk to find someone smarter than me. And the advice and experience available in the product org is amazing. There’s so much focus on personal development. Mentorships, docs from leaders in the field, educational programs and courses. All free and readily available to everyone. Which means with time, people level up. Information is openly available. At TGIF (weekly gatherings with Google founders and execs) I learned about plans and products that were secret to outsiders (later I learned about the leaks that threaten this openness). People want to help and collaborate — and generally are nice to each other. This isn’t just from my immediate team members, or people that I pinged on chat and immediately responded. This includes internal forums for just about everything: coding, parenting, biking, investing, you name it. And I immediately got the sense Googlers go out of their way to be helpful. In addition, the culture rewards excellence and innovation, encourages saying “thank you” in public, and promotes great ideas and efforts. There’s a feeling that people are generally “good”, which is why I was completely blindsided (like many others) by the infamous memo of last year. Regardless of where you stand in the conversation, Google treats its employees with unbelievable fairness, especially when compared to other tech firms. Trust me, I’ve been around the block. 3. Innovation and scale all wrapped into one: I crack up whenever I read that some people think Google isn’t innovative anymore. Firstly, the most important field in tech today — Machine Learning — is led by Google, which is several years ahead of its nearest competition. I don’t want to put other companies down — they’re also very innovative. But in the field of AI/ML, nobody comes close. Not in technology and not in the raw numbers of quality engineering talent. Now think of all the things Google applies ML to, like self driving cars, assistant, search, etc. If that’s not innovation — what is? To find scale, all I need to do is look at the main apps I use throughout my day: Maps, Photos, Chrome, YouTube, Gmail, Search. AFAIK all of these are irreplaceable. Yes, there are alternatives* — but for me, switching means negative impact on my day-to-day. *I don’t really think there’s an alternative to YouTube. It’s unique. I’ve also spent a short stint working on YouTube data infrastructure, and I can say that the org culture/vibe and the people are pretty amazing. So no room for improvement? All is perfect in Google-Land? Of course not. In some areas across Google the execution could’ve been better. Google is willing to bet big on success, and also assumes the risk of big failures. Messaging efforts of past didn’t take off like they should’ve. Google+ was a huge effort that didn’t succeed (but did give birth to the amazing Photos app). There are other examples. But the organization is a learning one, and I’m hopeful that future efforts will integrate these lessons learned. Another hurdle is due to the (good) fact that there’s a lot of openness to ideas and opinions. Sometimes discussions and debates feel like they’re taking too long, and decisions need to be made sooner. Even if consensus wasn’t achieved or not all opinions were heard. Once we’re done understanding the data, and we’re only left with opinions — time to march on. Lastly, promotion and perf are areas that finding the right balance is an ongoing process. Every cycle, complaints surface around promo fairness and perf overhead. There’s an entire team working on improving the process, but I feel there’s still work to do. To be fair, it’s tough to find balance in an 80k+ sized company. Google is no longer a startup. Which brings me to Cloud. My first PM task at Google was to launch Monarch — Google’s planet scale monitoring service for Google’s apps and services (Maps, Gmail, etc). Talk about the opposite of “easy early wins”! But with the help of others (see above “Heaven for..”) I managed to successfully launch it, and found my way into the cloud org circa early 2013. Only back then, it really felt like a startup. We were pressed to find product market fit amidst fierce competitors that had years of head start (AWS) and armies of sales and marketing teams (Azure). And users still had questions of whether or not we were here to stay. Not surprisingly we’ve found success with customers that were similar to Google. When I first engaged with Snapchat I believe they were less than 10 people, but the scale and automation they were looking for were not unlike what we knew in other parts of Google. So we’ve made some mistakes. Two meaningful ones to be precise. Our first — taking too long to recognize the potential of the enterprise. We were led by very smart engineering managers — that held tenures of 10+ years at Google, so that’s what grew their careers and that’s what they were familiar with. Seeing success with Snapchat and the likes, and lacking enough familiarity with the enterprise space, it was easy to focus away from “Large Orgs”. This included insufficient investments in marketing, sales, support, and solutions engineering, resulting in the aforementioned being inferior compared to the competitors’. The second mistake was chasing the competition. For example, AWS was having great success with EC2 (VMs). And customers were asking for it on GCP. So our native internal way of running things — containers — was to take a backseat for a few years, until a small startup by the name of Docker managed to hype up containers enough to make them relevant. Google took notice, and the rest is history. Another example is App Engine — predating today’s “serverless” hotness by a few years, and arguably a successful business even back then. Neither AWS or Azure had anything like it, but we had to divert too many resources to satisfy customers that were asking for features similar to what our competitors offered at the time. But all that is in the past. Over the last ~3 years, things have changed substantially. With the current leadership in place (grounded with the right experience), strong focus on enterprise, and marketing/sales/support teams that are correctly leveled and staffed, we’re left with the meat and potatoes: the products. My friends ask me if I think Google Cloud will catch up to its rivals. Not only do I think so — I’m positive five years down the road it will surpass them. Because today, Cloud is about helping other companies build software like Google does. All those great things about working at Google? Making them available to other companies — that’s the product market fit. Take Kubernetes as an example. It broke many adoption records and is very successful, and not because of any new concepts that were introduced. Kubernetes is really an externalization of container orchestration that’s been battle hardened inside of Google for many years (called Borg), and built to scale the largest, most distributed web services. And of the three cloud vendors, Google is best positioned to leverage these technologies and innovate first with (much) better offerings. Security is another area. If I asked you which company had the fewest breaches, or where you feel your information is safest — what would your answer be? And so, it’s no wonder that Google Cloud leads and will continue to lead in this area. Externalizing security features and practices to our customers will prove of significant value — sometimes too valuable to pass for any other reason. Machine Learning is the third strong pillar. Helping companies utilize advanced ML technologies the way Google does can give businesses an unfair advantage. And so, pretty soon every industry will have to deploy and use it, one way or another. There are other things, like externalizing what we know about running production at scale (think monitoring, logging and SRE practices), CI/CD, externalizing previously internal services such as Spanner, BigQuery, and BigTable. The list goes on, and the not-yet-realized opportunity is huge. Fast forward 5 years. What company wouldn’t want to build their service <X> with the same agility, scale, and security that Google does? Scale it to billions of users with minimal disruption and rock solid stability and reliability?